»» Download CovePDF for free! CovePDF ::: a computer program that allows users to open PDF files. Using CovePDF you can view any PDF document. »» Download LazLock for free! LazLock ::: a computer program that allows users to manage passwords. Using LazLock you can manage all your passwords from one place. 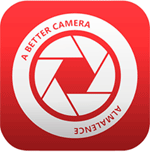 »» Download Buttercup for free! Buttercup ::: a program for different devices that allows users to manage passwords. Using Buttercup you can manage all your passwords from one place. »» Download Digital Clock for free! Digital Clock ::: a computer program that allows users to install a clock on the desktop. Using Digital Clock you can create desktop clocks of different sizes and colors. »» Download CrococryptFile for free! CrococryptFile ::: a computer program used to encrypt data. Using CrococryptFile you can protect sensitive information that you do not want others to see. 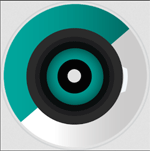 »» Download Macrorit Disk Scanner for free! Macrorit Disk Scanner ::: a computer program used to analyze the hard drive. Using Macrorit Disk Scanner you can detect bad sectors on different storage devices. »» Download simpliclean for free! simpliclean ::: a computer program that allows users to improve PC performance. Using simpliclean the computer will be faster and cleaner. »» Download TagEZ for free! TagEZ ::: a computer program used to manage digital photos. Using TagEZ you can manage and organize as you want, from one place, all your photos. »» Download GOM Audio for free! »» Download Opera Neon for free! Opera Neon ::: a computer program that allows users to visit websites. Using Opera Neon, you can visit, organize, save and categorize your favorite web content.